One of the beautiful things about having friends in town is that I get to play tourist. After living in L.A. for almost two years now, there are many parts of the city I'm yet to explore, and there's nothing like exploring with folks who also see your city with fresh eyes. 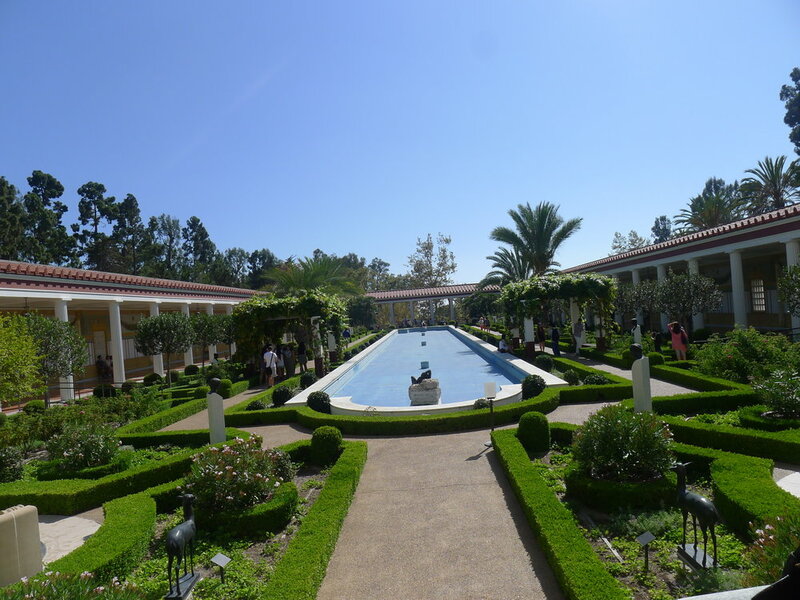 This past weekend while my friend E came to visit me, we went to the Getty Villa in Malibu. 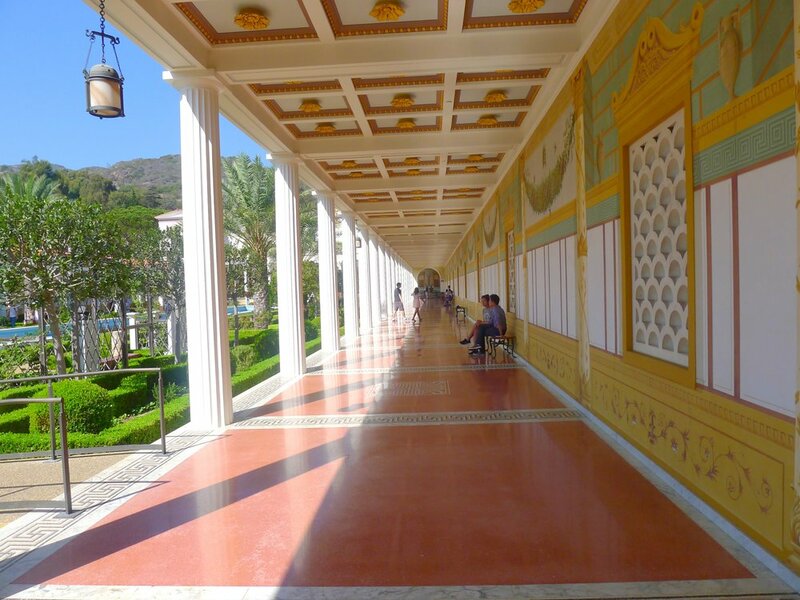 I've been to the beautiful Getty Center before and have been meaning to visit the Villa. 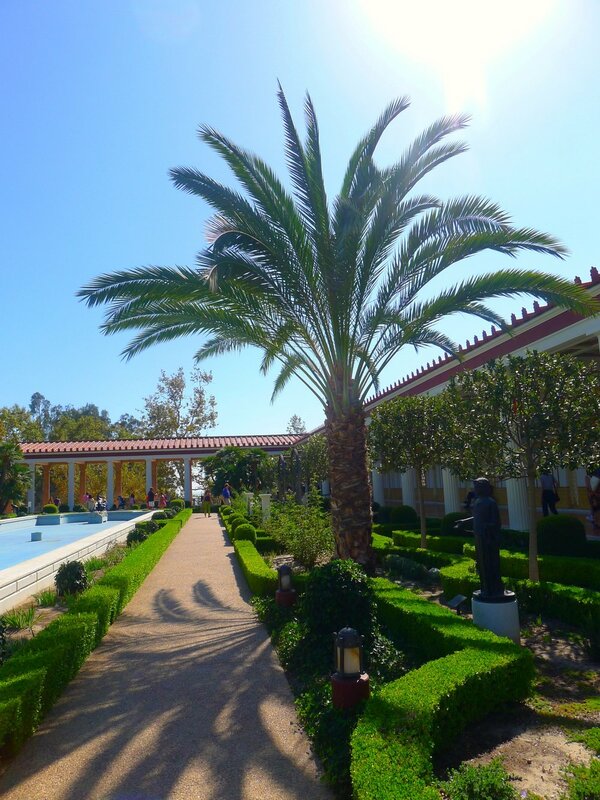 Featuring ancient art and architecture and lush gardens, the Getty Villa is breathtakingly beautiful. It's definitely a worthwhile day trip to make with friends, family or a significant other. Both my friend and I thought it was a great date spot. 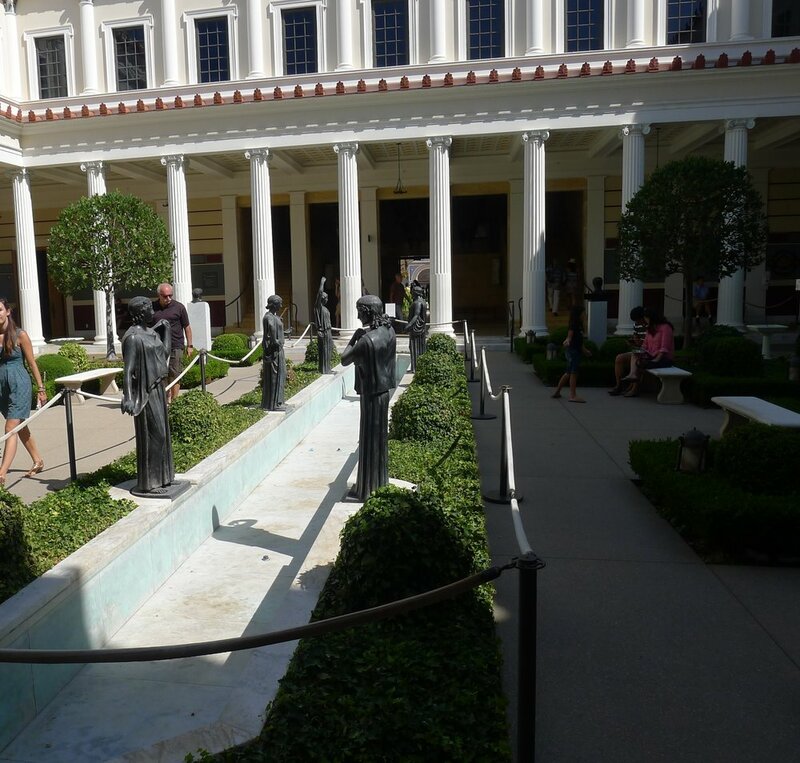 The Inner Peristyle was my favorite garden and my favorite part of the Villa. After exploring and taking in the sights, we both enjoyed a drink at the Villa's Cafe. We both lucked out by wearing flats, the Villa calls for exploration so there's quiet a lot of walking involved. It's definitely worth a visit the next time you're in L.A.